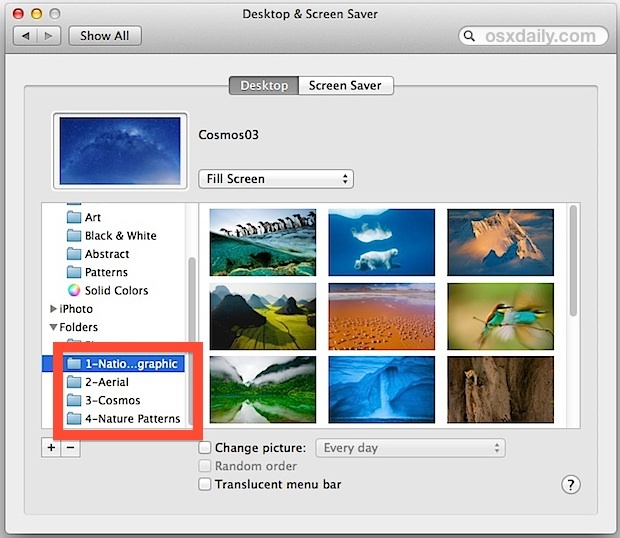 Some of you may recall that a series of beautiful new screen savers were introduced with the OS X Mountain Lion, and we here at OSXDaily showed you how to uncover the amazing images from those screen savers with a little bit of digging to use as your desktop wallpaper. 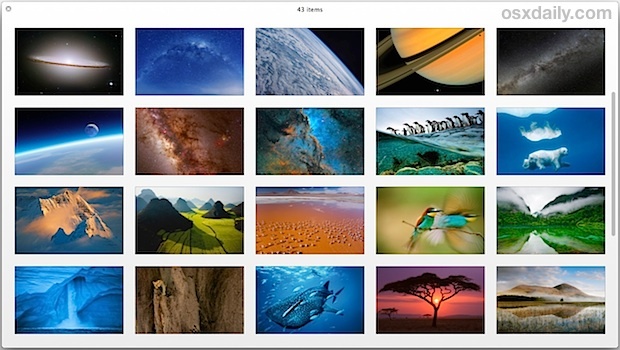 It turns out you can still find these high-res pictures in OS X Mavericks, OS X Yosemite, and OS X El Capitan too. We’ll show you how to dig up those beautiful wallpapers and use them as wallpaper for your OS X Mac (or iOS device, Windows PC, Android, whatever you want to decorate). Though the images are the same 43 awe-inspiring shots from earlier versions of OS X, Lifehacker noticed they have been relocated to a new location, which winds up making the beautiful wallpaper imagery more easily accessible to the average Mac user. You can access that directory immediately by hitting Command+Shift+G and pasting in the full path. 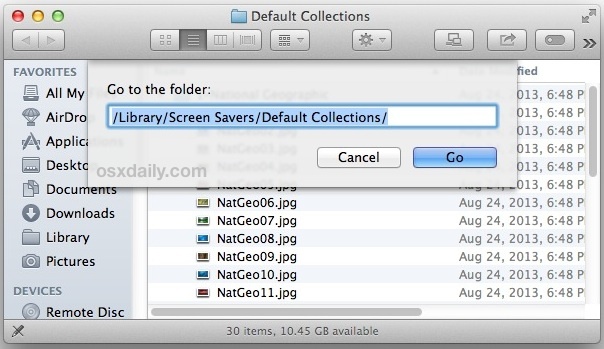 You could copy all 43 images to a more convenient location if you’d like to readily access them, but we’ll show you a better way to access them directly from the Desktop preference panel, which prevents duplicate files from cluttering up the Mac. 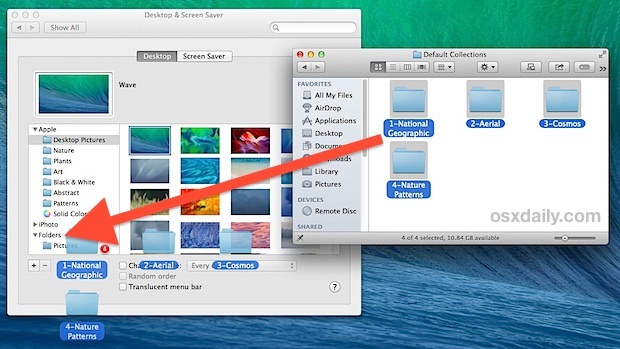 You may need to drag and drop each folder independently rather than as a group to get each folder to add to the Preference panel. There are a grand total of 43 hidden wallpapers broken into four descriptive categories; “National Geographic”, “Aerial”, “Cosmos”, and “Nature Patterns”, each set is absolutely beautiful, and all individual wallpapers are 3200×2000 resolution. Click through on any thumbnail to download the full resolution version. (The Nature Patterns look particularly good with iOS, by the way).